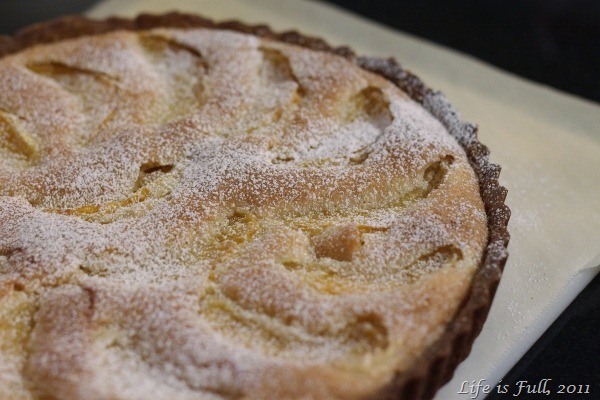 This week’s FFwD recipe, the Orange-Almond Tart, received only a fair review. Tasters found it too sweet, the crust especially. 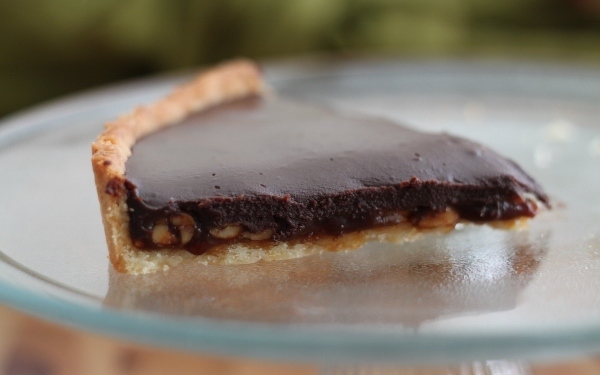 This tart uses Dorie’s Sweet Tart Dough which has half a cup of confectioners’ sugar in it compared to a teaspoon of sugar in the regular tart dough. Apart from it being sweet, I like this tart dough for its buttery, shortbread-ish texture. It comes together easily in a food processor and it can be pressed into the tart pan or rolled out. I chose to press it in so I don’t have to deal with the rolling! The almond cream filling wasn’t too bad and the two teaspoons of dark rum in it gave it a slight ‘adult’ taste. One interesting step in this recipe is the cut orange segments have to be dried out in between layers of paper towels before being used. (I found that a waste of lovely Sunkist navel oranges!) Contrary to what Dorie said, this did not enhance the flavour of the oranges, which were sweet and juicy when they were fresh, but rather, they lost some flavour after being baked. I also thought some pieces tasted a little bitter. Hmm…? The crust, which was first blind baked, turned too brown after the final baking. Overall, I found this a nice fancy dessert which I would serve at dinner parties. I would reduce the amount of sugar though and cover up the edges of the crust with foil halfway through baking. One nice thing that happened in the course of making this dessert is I ‘reconnected’ with my old food processor. My 6-cups Kenwood FP110, which I brought over from Malaysia, had been stored away in my basement even since I moved into this house. I had forgotten about it and even contemplated buying a new food processor but the ones here are clunky and expensive. My Kenwood has steel blades, is compact and not too heavy – almost perfect except for the fact that it doesn’t work on the voltage here. Nothing a converter can’t fix though. 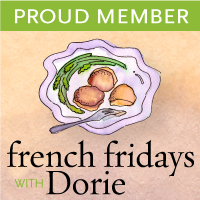 Click here to look at the tarts other French Fridays with Dorie members made. Next week’s recipe is Pancetta Green Beans.